These are hard hitting deep penetrating expendables that feature a tough trocar tip for superior penetration and no deflection on quartering shots. There are no rubber bands or o-rings to fail in inclement weather. 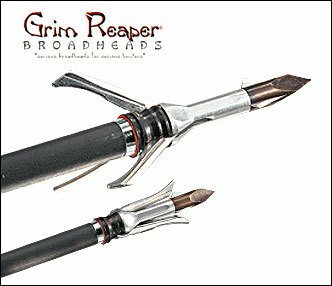 The body of the head is machined from high grade aluminum and the blades are ground from 440C stainless steel so you know it will take some abuse. 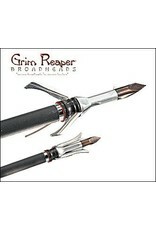 With superior penetration and large wound channels, the Razortip from Grim Reaper is one of the deadliest expandable broadheads on the market.